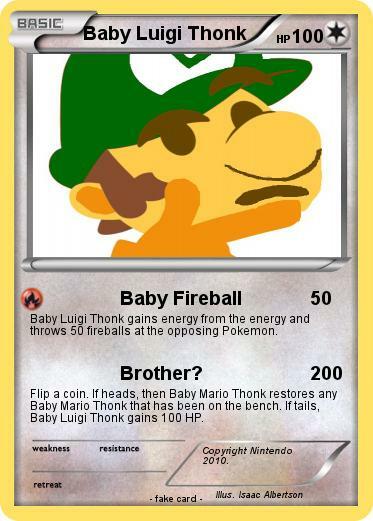 Baby Luigi Thonk gains energy from the energy and throws 50 fireballs at the opposing Pokemon. Flip a coin. If heads, then Baby Mario Thonk restores any Baby Mario Thonk that has been on the bench. If tails, Baby Luigi Thonk gains 100 HP. Comments : Copyright Nintendo 2010.